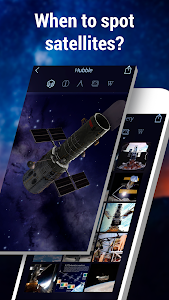 Star Walk 2 Free - Identify Stars in the Night Sky is a great astronomy guide to explore the night sky day and night, identify stars, constellations, planets, satellites, asteroids, comets, ISS, Hubble Space Telescope and other celestial bodies in real time in the sky above you. All you need to do is to point your device to the sky. 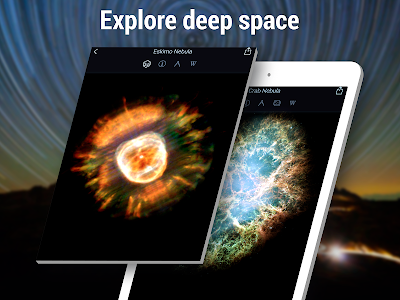 Explore the deep sky with one of the best astronomical applications. - Meteor showers, equinoxes, conjunctions, full/new Moon and etc. Star Walk 2 contains in-app purchases. 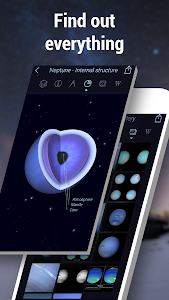 Star Walk 2 Free - Identify Stars in the Night Sky is a perfect planets, stars and constellations finder which can be used by both adults and children, space amateurs and serious stargazers to learn astronomy by themselves. 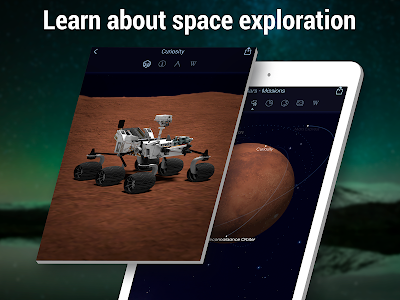 It is also a great educational tool for teachers to use during their astronomy classes. This free version contains ads. You can remove ads through In-App purchases. 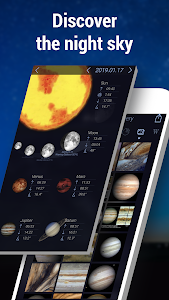 ★ Stars and planets finder shows the real-time map of the sky on your screen in whatever direction you are pointing the device. * To navigate, you pan your view on screen by swiping in any direction, zoom out by pinching the screen, or zoom in by stretching it. 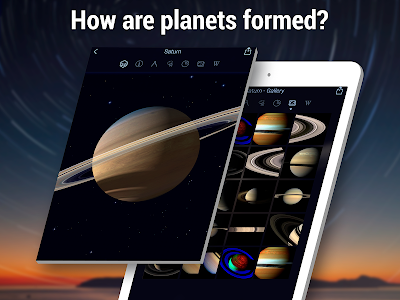 ★ Learn a lot about the solar system, constellations, stars, comets, asteroids, spacecraft, nebulas, identify their position on the map of the sky in real time. Find any celestial body following a special pointer on the map of the stars and planets. 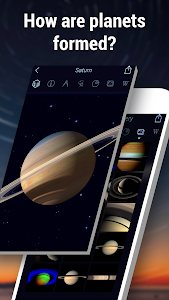 ★ Touching a clock-face icon at the upper-right corner of the screen allows you select any date and time and lets you go forward or backward in time and watch the night sky map of stars and planets in fast motion. Find out star position of different time periods. 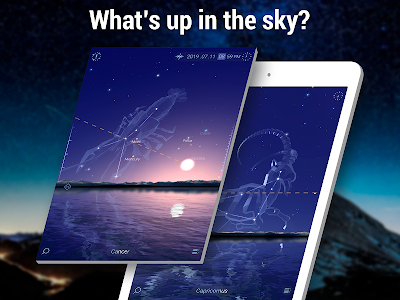 ★ Enjoy AR stargazing. 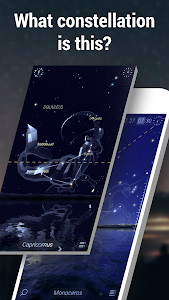 View stars, constellations, planets, satellites overhead and other night sky objects in augmented reality. 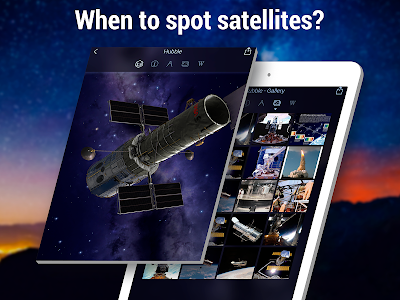 Tap on the image of the camera on the screen and the astronomy app will activate your device's camera so you can see charted objects appear superimposed on live sky objects. ★ Except for map of the sky with stars and constellations, find the deep-sky objects, satellites in space live, meteor showers. 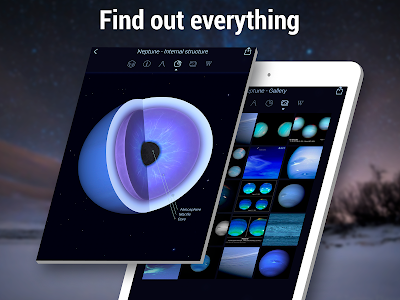 The night-mode will make your sky observation at night time more comfortable. Stars and constellations are closer than you think. 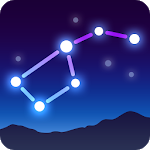 ★ With our star chart app you will get a deeper understanding of the constellation`s scale and place in the night sky map. 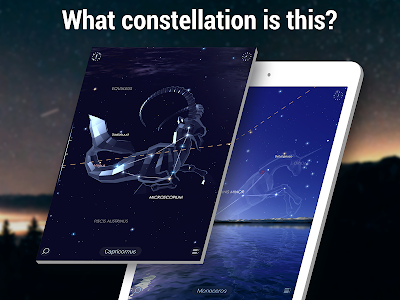 Enjoy observing wonderful 3D models of constellations, turn them upside down, read their stories and other astronomy facts. ★Be aware of the latest news from the world of outer space and astronomy. The "What's new" section of our stargazing astronomy app will tell you about the most outstanding astronomical events in time. *The Star Spotter feature won't work for the devices that are not equipped with the gyroscope and compass. 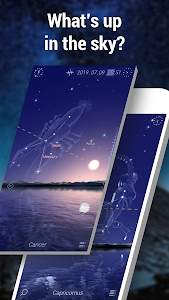 Star Walk 2 Free - Identify Stars in the Night Sky is an impressively good looking astronomy app for stargazing at any time and place. It is the all-new version of the previous Star Walk. This new version has a re-designed interface in conjunction with advanced features. 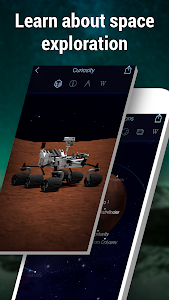 If you’ve ever said to yourself “I’d like to learn the constellations” or wondered “Is that a star or a planet in the night sky?”, Star Walk 2 Free is the astronomy app you’ve been looking for. 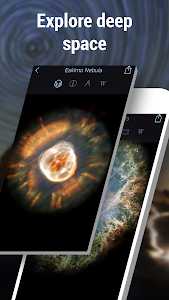 Try one of the best astronomy applications. •Improved app performance and stability. Feel free to reach us at [email protected] with any questions, remarks or suggestions. 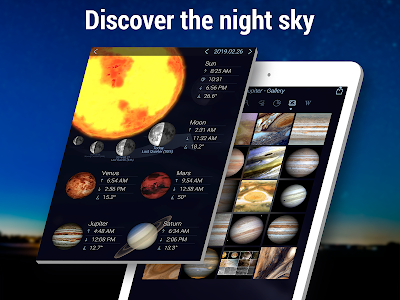 Similar to "Star Walk 2 Free - Identify Stars in the Night Sky"